I'm back today with two fun cards for you. I'm still at Stampin' Up! headquarters in Salt Lake City and since I'm posting this ahead of time, I don't have ALL the details, but last night was a pretty special one for us on the Advisory Board. I'll fill you in when I get back later this week, ok?! Today's cards are the same, but different! Two looks from the same materials. The only differences are the greeting and the way the ribbon is wrapped on the card front. 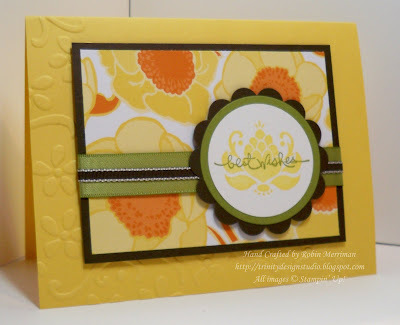 But don't you love how that ribbon done differently gives the card an entirely different effect? Yep, me too! My supply list is at the bottom for you this time, ok? I hope you enjoyed these cheerful cards - want to make one? 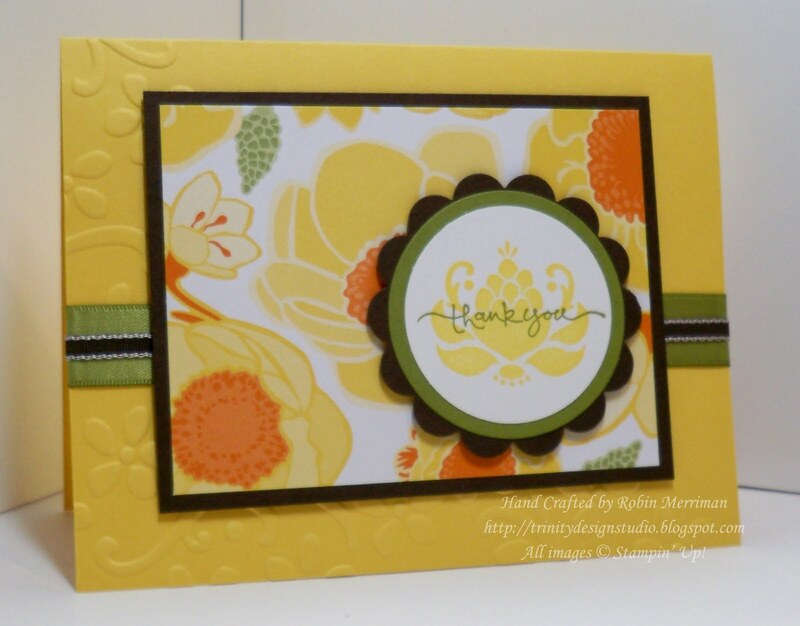 Come to my new Card Class this Thursday night, 9/23 at the Manassas Volunteer Fire Company! It's at 7 pm and is just $15 for 5 completed projects! You have to RSVP though because I want to be sure to have enough materials for everyone that comes. I'll be there once a month from now on stamping with my friends - I'd love you to join us!